Grown in Taiwan, Ali Shan tea is considered one of the best high mountain oolong teas. What makes this tea one of a kind? Made up of buds and leaves of tea bushes that grow at altitudes higher than 1000 meters, this tea is the result of the unique terrain and climatic conditions of the Ali mountainous region. Thick and juicy leaves are rich in flavor and aromas that brew a wonderful cup of tea, full of healthy minerals, vitamins and antioxidants. Such richness makes this quite a healthy cup of tea. Floral and fruity this Taiwanese oolong tea is a great addition for any tea collection. of a cup of this high mountain tea! What is Ali Shan Tea? Ali Shan tea (sometimes spelt alishan) typically refers to oolong tea grown in the Ali Mountain in central Taiwan. This tea qualifies as a High Mountain tea because most tea gardens are situated in altitudes from 1000 meters to 1500 meters. Made up of a bud and 3 leaves or a cluster of 4 leaves, these soft, tender and lustrous leaves are tightly rolled on the stem into dark green and glossy round shapes. Semi-oxidized like all oolongs, Ali Shan tea is a greener oolong because it traditionally suffers very little oxidation coming closer to green teas that undergo no oxidation at all. Tea was first brought over from mainland China by Chinese tea farmers that brought their knowledge along with the tea plant. Located in the Chiayi County in the Ali mountainsides, several remote villages today have tea gardens where this exquisite oolong tea is produced. Compared to the long history of other teas, this oolong tea is rather recent considering it only started being produced a few decades ago. Although still relatively new, this is already quite a popular tea in Taiwan. There are two famous areas that produce tea in Ali Shan: Zhang Shu Hu and Shi Zuo. Tea estates are located at altitudes from 1300 to 1800 meters. Climate is perfect here for this type of tea: cool and foggy. 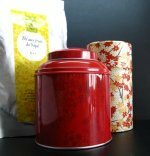 Leaves are lustrous and soft and brew a lovely mellow tea that is fresh and unique. This is a rare tea so make sure to taste if you come across it. This area gets its name – "stone table" in Chinese, - from a megalith found by the first settlers. Located at about 1300 to 1500 meters in altitude, this area has a rich soil and the ideal climate for this oolong tea. Hand-picked and hand-processed, this tea is crafted using traditional methods, creating unique flavor profile. The high altitude location of Ali Shan tea gardens creates special conditions of fog, cold temperatures and little sunlight that slows the growth of the leaf down, concentrating all the juices and flavor inside. Harvesting: the steepness of these mountains also makes it difficult to grow and harvest large quantities this tea. Tea leaves are only picked in the spring and in winter, making this a rare cup of tea. Withering: tea leaves are spread on the ground under natural sunlight to begin the process of reducing moisture inside the tea leaves. Tossing: placed on bamboo trays, the leaves are tossed around so as to break up the cell tissue and beginning the oxidation process. This tea is lightly oxidized (typically under 30% oxidation). Rolling: leaves are placed inside a cloth bag and carefully pressed and rolled. This step releases even more water and at the same time shapes them into their tightly rolled up characteristic form. Drying/Firing: leaves are then fired to remove remaining moisture. The heat applied to the tea at this stage stops the oxidation process, preventing the leaves from becoming fully oxidized black tea. Roasting: Ali Shan teas are lightly roasted, either using traditional charcoal roasting or modern electric ovens, preserving the intense floral aroma and clear liquor color. The resulting tea is incredibly aromatic and flavorful, intensely floral and fruity. At the same time, this tea retains a richness of components that may provide many health benefits. A great oolong tea like Ali Shan tea contains antioxidants, vitamins C and E, and is also rich in minerals such as zinc and selenium among others. Caffeine also plays an important role in this tea. Let’s find out what benefits this tea offers with each cup you drink. One of the best benefits this tea may offer you is its ability to improve your digestive system. A combination of polyphenols and caffeine helps to speed up your metabolism, which may help with acid reflux and painful indigestion. A warm cup of tea may be ideal to help your stomach to break down elements in food and then improve the rate at which your body gets rid of unwanted waste materials. This oolong tea may also be considered a weight loss tea, because with the help of a healthy diet and plenty of exercise, this tea may tell your body to burn fat and stop the absorption of fatty elements in food. Ali Shan tea may help prevent heart disease and promote heart health. Antioxidants and minerals in tea help to tell your body to break down fat buildup in your blood and so reduce bad (LDL) cholesterol levels. On a regular basis, this oolong tea may help to reduce your blood pressure as well as regulate the level of sugar in your blood. Naturally sweet, take Ali Shan tea without any added sweeteners and it may help complement your type II diabetes treatment (ask your doctor to monitor your progress). This Taiwanese oolong tea contains caffeine and this stimulating substance may help to keep your brain alert and focused. Caffeine in tea is released at a slower rate into your bloodstream than caffeine in coffee, but also lasts longer, helping with mental activity and boosting memory. At the same time, tea contains an amino acid called L-theanine which is relaxing and calms the nerves. L-theanine may help the brain to stay focused without the jitteriness that coffee may cause. A cup of this tea is rich in minerals and vitamins and may help you on a daily basis to fight infection and inflammation. This tea may help boost your immune system defenses helping prevent disease and speed up recovery time. Preventing bacteria is something that may happen as soon as tea enters your mouth. It is said to keep your teeth healthy by ridding your mouth of harmful bacteria and preventing tooth decay. This Taiwanese oolong tea is rich in antioxidants that may aid in the battle against harmful free radicals that result from environmental pollutants. Free radicals may be responsible for the growth and spreading of tumors as well as premature aging. Although further study is needed, a daily cup of oolong tea may help your body to prevent tumors. By ridding your body of toxins and proper hydration your skin will keep fresh and looking young. As a good source of vitamin C, this tea may reduce skin irritations and help treat skin disorders such as eczema. Ali Shan tea shares many common benefits with other oolong teas. If you wish, find out more about oolong tea benefits. Try this oolong tea now! Ali Shan tea comes from the tea bush like other oolong teas, so it contains caffeine like other oolong teas do. This tea typically contains a moderate level of caffeine as it is made up not only of young buds, where caffeine is mostly stored, but also 2 to 3 older larger leaves with less caffeine. Other factors such as soil composition and processing techniques may affect caffeine content so it may not be the same from one batch of Ali Shan tea to the next. If you sensitive to caffeine, you may experience headaches, lack of sleep, nervousness and even irregular heartrate. Have you any previous serious heart problems? Talk to your doctor about your daily allowance of caffeinated beverages. Unfortunately your doctor may want you on decaffeinated teas only. Extreme sensitivity or allergic reaction to caffeine may show itself through stomach pains, bowel issues and skin rashes. If you are pregnant or breastfeeding, it is best to talk to your doctor about what caffeine amount is right for you. Too much caffeine may serious affect your baby, so be safe! Drink in moderation and let caffeine in tea bring you all of its health benefits and none of the problems. Drinking a cup of this Taiwanese oolong tea is quite a treat and such a rare tea deserves to be brewed to its best advantage. So come and learn how to brew Ali Shan tea. First pick out a teapot and teacups and preheat them by filling them with hot water that you discard as soon as the surface feels warm to the touch. If you are brewing this tea western-style, then you may use a regular teapot, preferably with a filter that you can remove easily. If you are brewing this oolong tea in the Chinese Gongfu way, then pick out a small clay Yixing teapot. In the western way, you should place 1-2 teaspoons of tea per cup in the teapot. In the Chinese way, you may fill your teapot with as many as 4 teaspoons per 150ml (5oz). For a stronger tea, add more tea leaves per cup and for a milder tea reduce the amount of tea you use. Heat water to 90ºC – 95ºC (194ºF – 203ºF) which is a little below boiling point. If you really enjoy this tea then consider purchasing a thermometer so that you get the temperature right every time. Make sure to use good quality water as the mineral content of the water will influence the flavor of your brewed tea. Best use a filter to get rid of all impurities. Pour hot water over the leaves for about 5 seconds and then discard the water (not the tea). This rinsing step clears away any dust in the leaves and helps them to open up better. Oolong teas such as this one are quite quick to brew. In the western way, you may steep your tea from 3 to 5 minutes. Less time may result in a milder, weaker tea. For additional infusions add an extra 30 seconds. In the Gongfu way tea requires much less time to brew because the ratio of tea to water is much higher. So get a timer and make sure not to brew your tea for more than 45 seconds to 1 minute. Then add 15 seconds to each following infusion. The key to enjoying this tea over and over is to make sure to always empty the teapot when serving the tea. This way the leaves will stop steeping and may be reinfused as many as 5 to 7 times. 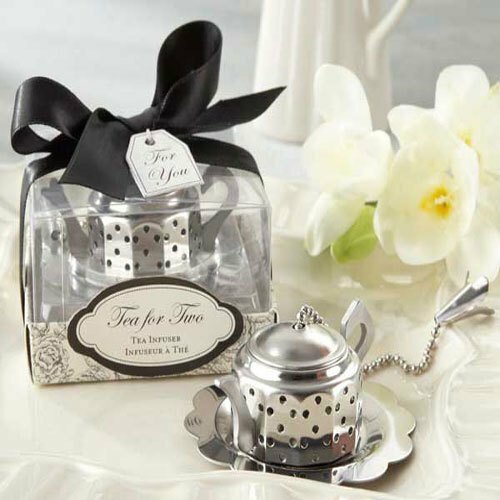 If you are using a large teapot and do not pour out all the tea in each setting, then consider using an infuser so that you may remove the leaves from the pot between infusions. Serve your tea in white tea cups to best observe its beautiful vibrant yellow color. Hold the cup up to your nose and feel the fresh aroma with floral and sweet fruity notes. Take a sip and feel the smooth and refreshing flavor of this tea. 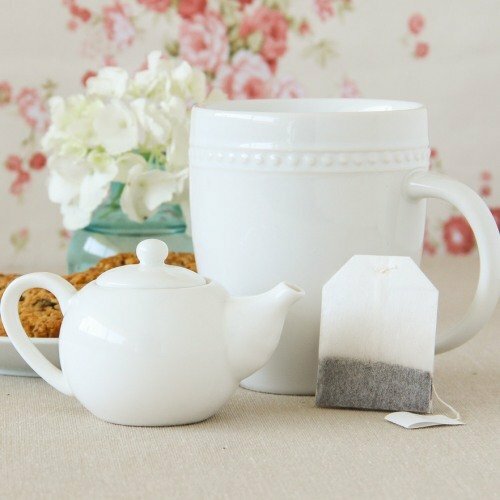 Full-bodied, this tea is creamy with deep floral and fruity notes. Notice the natural sweet aftertaste that lingers in your mouth after drinking. This is a wonderful tea to enjoy throughout the day, but it is best enjoyed with dried fruits and milky desserts, so have it as a dessert tea in the afternoons. Buy Your Ali Shan Tea Today! This fine autumn flush tea from Taiwan is milky, buttery and floral. Savor a high quality tea with just a moderate level of caffeine. Give this Taiwan oolong tea a try and savor each healthy, sweet and floral cup of tea. Ali Shan tea may be the right tea for you!